A fire broke out on Thursday at Czech refiner Unipetrol’s Litvinov plant. 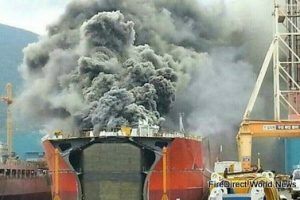 Employees were evacuated but no injuries were reported, the company’s spokesman said, although he could not give any details regarding the impact of the fire on production at the plant. “I assume it was shut down, but I have no details yet. The fire is under control now, the fire brigade is deployed,” he said. Czech media said blasts preceded the fire at the plant.